If you dissolve 1/4 tsp of knox gelatin in one tbs of boiling water then add it to the whipped cream it will produce stabilized whipped cream and is much cheaper than the store bought stuff. I use it 1 tbs disolved to one cup of whipping cream. I use Knox unflavored gelatin (dry) about a level TBLS per quart of heavy cream…. Really helps to stabilize the cream! When I saw these adorable skewers on Lady Behind the Curtain, they were just too cute to pass up. 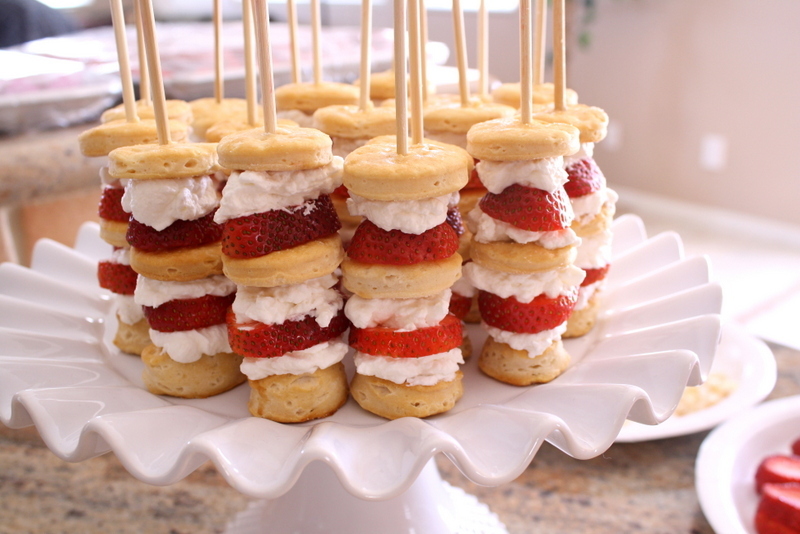 I had to make these for my daughter’s tea party! 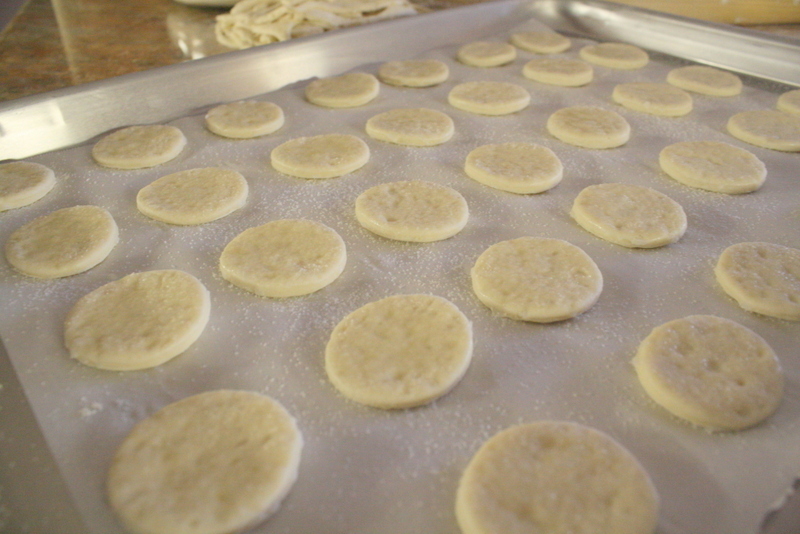 They are made with pre-made biscuit dough so it’s super easy too. 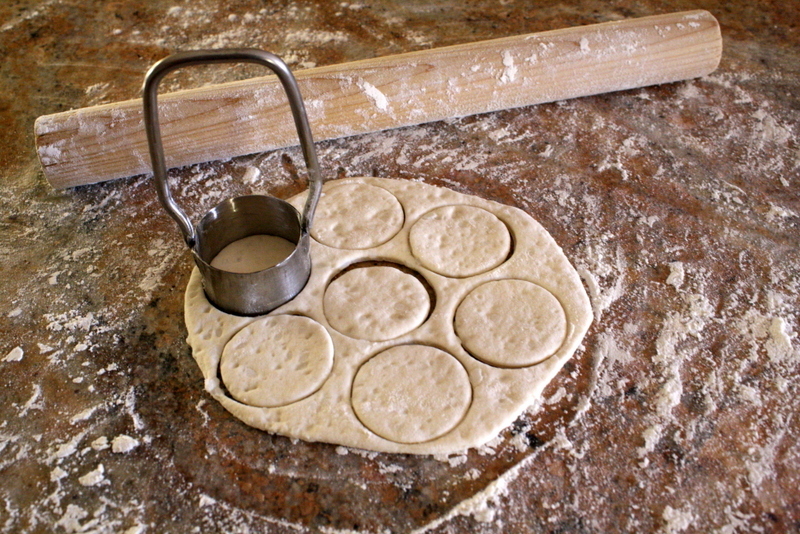 Roll out one piece of refrigerated biscuit dough to about a 5 inch circle and cut into 1 1/2 inch circles. Each one should give you 7 circles. Make sure you use your handy-dandy homemade circle cutter. Yes, this circle cutter was made by my Dad. First let me explain the type of guy my dad is. He can make ANYTHING!! Really, he’s a general contractor by trade, but a mad scientist in the workshop. He whipped up this little cutter and just soldered it together and voila, I have a cookie cutter!